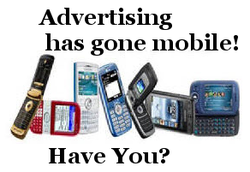 Over 50% of Your Customers are Searching On their Mobile Devices For Your Products & Services! Are they finding you? Easily? Just because you have a PC based Website does not mean your customers enjoy the experience when accessing it. Learn secrets and tips that even the big boys haven't learned yet, and why they are having a hard time retaining the customers You are now getting; because You are Mobile!